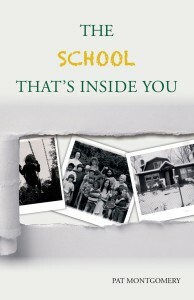 Editor’s Note: Clonlara School Founder Pat Montgomery’s book, The School That’s Inside You, is available in both print and digital format. 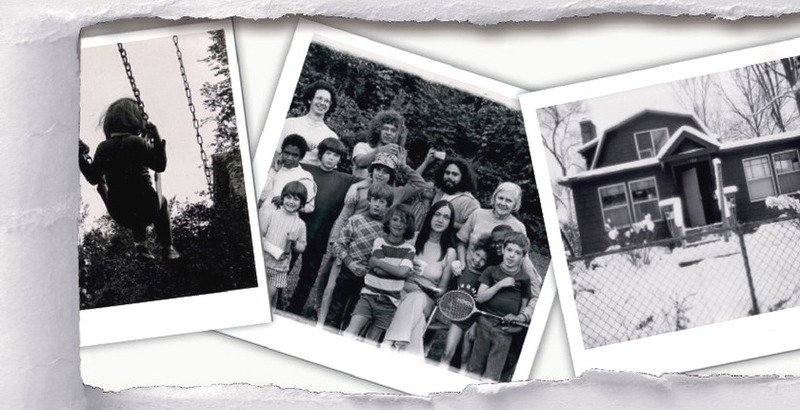 In this excerpt from Chapter 2, Pat shares a personal story of how graduate school influenced her thinking on education, but parenthood “propelled” her to start a school of her own. I took classes at the University of Michigan at night and during summer to complete a master’s degree in child development. The fresh, open ideas of professors like David Angus and many another didn’t seem to penetrate down to those engaged with children in classrooms. It was here that I was introduced to A.S. Neill and his life work, Summerhill. Treat them like the intelligent, feeling, involved people that they are. Trust them and trust yourself as a parent and a teacher. Most of all, lose the stage-front-and-center position and share humanity with all. Along the way, in 1963, Jim Montgomery and I had married. Chandra was born in 1964; Chai in 1965. Jim had been an only child and having two in relatively short order left him in awe and wondering much of the time. He wasn’t alone in those sentiments, I must admit. Even when I was leaving the hospital, having given birth to Chandra, I positively marveled at the fact that the nurse carried the baby to the exit door, then turned and placed her in my arms. I was gripped with the realization that she was letting this tiny being go home with us. Just the three of us—Jim, baby, and me in the car. What am I supposed to do with her, I wondered? It didn’t take long to find out! …. A year later, with the arrival of Chai, [Jim] learned what it’s like to have two little ones in the family. He was enamored by their interactions, and sometimes he was conflicted by them. Once when they were toddlers, they were chittering at one another over some disagreement. Jim looked at me as though to say what do we do now? I addressed the two scrabblers and said, “Could you two consider being agreeable to one another?” Chandra, the elder at age four put her hands on her hips and replied, “This is the way brothers and sisters are supposed to act, Mom.” Chai nodded his agreement to that. Just how she came upon this advanced knowledge, escaped me, but I couldn’t refute it. Nor could Jim. Happily, the dickering subsided with the query. Step by step, phase by phase, we awakened to the innate intelligence of these two creatures. They had a sense of what was happening around them, even when it was unspoken, as though they could read thoughts and intentions. Body language, too. They were a heady mix of the spiritual and the practical. I saw with my own eyes their stages of development and I realized that when I was a teacher all those prior years, I had no idea what the journey was for a child to reach the age that I was teaching at that time. They were all 8-year-olds or 10-year-olds or 16-year-olds. That’s where life began as far as I was concerned. Little did I know that the lessons each child had learned up until the year I entered the scene were a vital part of who she was. The continuum concept was nowhere on my horizon in those days. My dissatisfaction with the system of schooling that virtually everyone in the dominant culture took for granted finally took a shape. I was no longer just teaching other people’s children; I was responsible for providing for our own two. This riveting thought propelled me to decide that I should start a school for my own two and for anyone else who may join us. 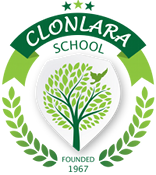 It would look nothing like a conventional school. Childhood is too short a span to be squandered. How has becoming a parent influenced your thoughts on learning and education? What type of educational experiences do you want your children to have during their school-age years? Please share your thoughts.